Following a decision not to raise interest rates earlier this month, Mark Carney, governor of the Bank of England (BoE), addressed the Treasury Select Committee on Tuesday. The aim was to provide further clarity behind the central bank’s Monetary Policy Committee’s (MPC) interest rate policy decision. The Treasury Committee’s key role is to act in the public’s interest by carefully scrutinising the BoE’s actions. Carney reaffirmed he and his colleagues will wait to see what future economic data points reveal about the state of the UK economy before increasing interest rates for the first time this year. He made it clear that the MPC does not believe the underlying economy has deteriorated, but that poor first-quarter statistics and lower inflation rate gave rate-setters pause for thought. 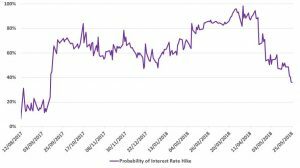 Carney specified that it was still the case that “interest rates are more likely to go up than not but at a gentle rate”. Since what is being described by the media as a communication misstep by Carney, calls for the BoE to publish a more explicit interest rate forecast, have grown. The suggestion being advanced is for the MPC to adopt a version of the US Federal Reserve’s (Fed) dot plot. The dot plots show each member’s views on where rates should be in the near term, as well their expectations for rates in the long-run. Carney and his policy makers remain skeptical of the benefits of adopting such an approach. In his own defence, he said he believes guidance given by the MPC is conditional and well understood by households and businesses. In his view, forward guidance produced in a format like the Fed’s creates the added risk of “pre-commitment”. “You’ve got a path, you feel more obliged, for reasons of credibility, to follow through”. 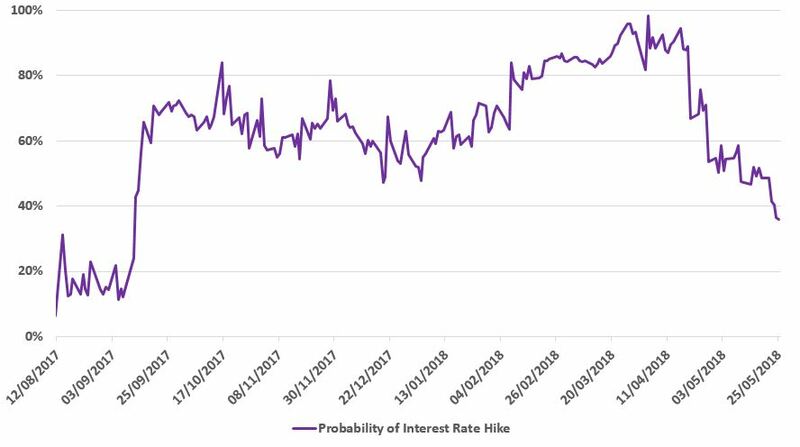 However, Gertjan Vlieghe is one MPC member in favour of being more explicit, adding on Tuesday that he still expects one or two rate hikes over the next three years. Economic forecasters currently put a 36% chance of a hike in August. Probabilities of this sort ebb and flow with myriad data points, hence we will keep you informed of developments on this front in our subsequent commentary! Trade wars remain one of the key themes of 2018. With his protectionist agenda, the President of the US Donald Trump has been aggressively pushing for higher import tariffs mainly aimed at Chinese goods. Given that China’s economy is mainly driven by its exports, their stance on the trade situation is naturally defensive. They want to avoid disputes with the US and cooperate rather than work against each other. However, in April, when President Xi Jinping felt threatened, he used counter measures to show they too have economic power hoping for Trump to back-off. 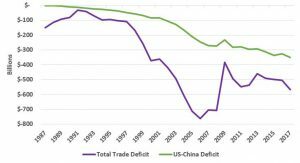 It is important to understand why Trump is so keen to impose tariffs on China. The US is running a current account deficit (i.e. 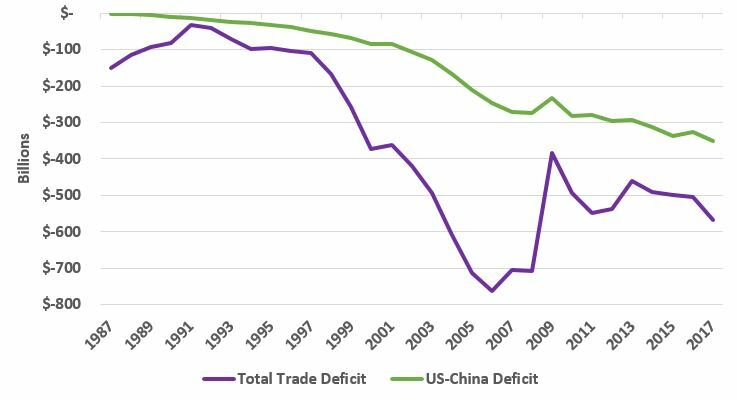 trade deficit) of almost $570 billion, of which over 61% is with China. To reduce the massive deficit, China is in Trump’s sights. Since we started writing on this matter financial markets have been rattled by events but remain resilient. It is also becoming more apparent that Trump’s ‘Provoke’ then ‘Negotiate’ tactics have gained a form of begrudging acceptance. After imposing tariffs on Washing Machines, Solar Panels, Steel and Aluminium and then proposing further tariffs on a whopping $152 billion worth of Chinese goods, Trump has started to reign back on his threats. In a recent tweet, Tump mentioned that the Chinese have agreed to purchase unspecified amounts of American farm products; suggesting that tensions between two largest countries are easing and the full-blown trade war scenario is delayed or even erased. Tump’s strong ‘Provoke’ attacks on China began a month ago. He said he “cannot let this (trade) continue”. He pointed to the fact that the Chinese “get tremendous perks and advantages, especially over the US”. However, ‘Negotiate’ rhetoric is as follows “on China, barriers, and tariffs to come down for first time”. He said trade tariffs would cost “too many jobs in China”. While this may be music to Chinese ears, they will not have forgotten that the US President got his slice of the cake by imposing tariffs at the beginning of the year. His tactics to make some moves first, then provoke the other parties only to ease things later to make others forget what was done at the beginning seems to be working! Sitting calmly is not in Trump’s nature. Before sending his administration team to China to negotiate terms of trade, Trump instructed the commerce secretary, Wilbur Ross, to look at launching an investigation into car imports. It is important to note that the main countries which the US imports motor vehicles from are Mexico, Canada, Japan and Germany (i.e. the US’s closest allies). It is unlikely that this aspect will be overlooked by Europe. It has already been described by European officials as follows – “it’s (proposed investigations on cars) flabbergasting. What makes the imports of cars a threat to the national security of the United States? It’s flagrant protectionism”. However, it is noteworthy that most of the European carmakers have their factories set up in Mexico for supplying the North and South America. It seems likely that the US under Trump will continue to take measures to reduce their deficit. Trump’s stock in trade, is generating uncertainty, however, his frequent and expressive tweeting skills are no longer catching markets off guard. Investors are showing more resilience to his constant tweeting and focusing instead on aggressive proposals that are passed and signed into law. 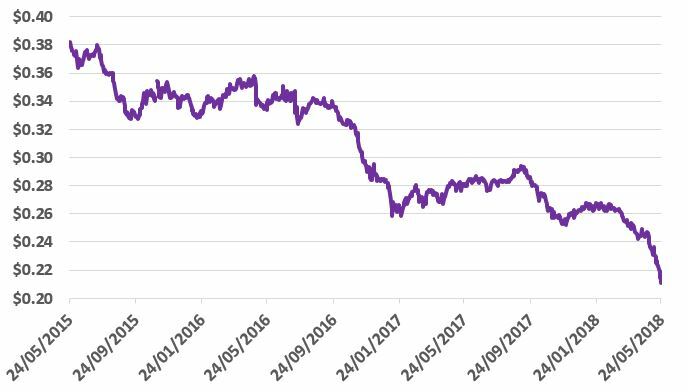 TURKISH LIRA – WHAT’S ALL THE FUSS? The Turkish Lira, a currency which does not often gain the attention of financial reporters, has grabbed the headlines this week. On Wednesday, the currency tumbled to a record low against the US dollar with concerns growing over the country’s overheating economy. Turkey’s President, Recep Erdogan, insisting on personally interfering in monetary policy matters while claiming that Turkey’s central bank is independent is not helping. 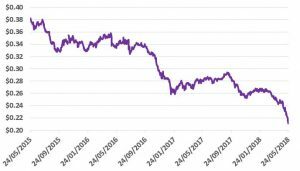 The severity of the devaluation of the Lira is illustrated by the chart below. It is plain to see that the currency was already under downward pressure. However, in the wake of recent US interest hikes and economic growth in the US improving, the US dollar’s recent bout of strength has exacerbated the pressure on many emerging market currencies; especially those currencies like the Lira with large trade and budget deficits to defend and growing levels of international debt. In the wake of the crisis, Turkey’s central bank having previously resisted rate rises (possibly due to Erdogan’s influence), increased its benchmark lending rate from 13.5% to 16.5%. The currency climbed 2% higher following the announcement, however, it remains 20% lower than at the start of the year. This reflects fears that Erdogan’s autocracy may further undermine monetary policy measures needed to restore confidence in the currency backed up by an independent central bank. Those who know the region well have been calling for higher interest rates to bring inflation under control, which currently stands at 10.9%. This requires moderation in the pace of annual GDP growth which has been a key driver of the need for tighter monetary policy. While the central bank’s intervention will not solve all of the problems it is a step in the right direction. Left unchecked the central bank makes the point that “the current elevated levels of inflation and inflation expectations continue to pose risks on pricing behaviour”. However, in what is unhelpful, Mr. Erodgan said he planned to take more control of the country’s finances. He has in the past described himself as an “enemy of interest rates”. These comments come in front of next week’s elections. This week, as the pressures have intensified, the President attempted to calm matters by tweeting his full support for the country’s ‘independent’ central bank. He also pointed to previous periods of economic turmoil in Turkey saying, “none of Turkey’s macroeconomic problems are insurmountable. We’ve fixed problems in the past, we can do it again”. His rationale seems to be that his soothing words will clear the cloud hanging over the economy – what’s all the fuss about!